A common use of textures is to cover 3D objects such as landscapes or meshes. 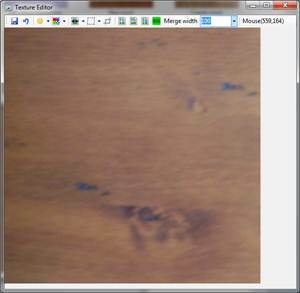 The example shown below is a photo of a wooden table. This could be used to cover a floor in a building, however when the edges meet the join would be obvious. The four steps below show how to convert the image so that when it is tessellated over a mesh if looks much better. First resize the image to a common size such as 512x512. Next split the image (in this case both horizontal and vertical). This image is very unbalanced in brightness especially left to right. Balance it using the brightness tool. For this image choose a large merge width and merge all the edges. 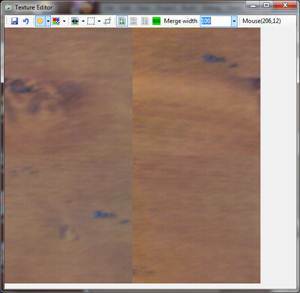 Unclick the split image button to return the image and save. 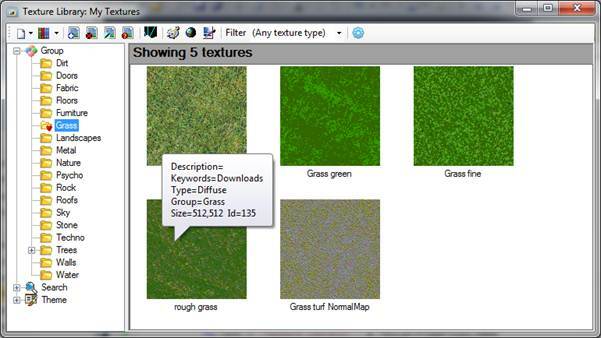 The purpose of Texture Manager is to provide a managed library for all textures. While developing it we have realised it will probably evolve into a tool that manages Actors, Meshes etc as well. Balances textures across image for brightness, and red, green and blue colours. 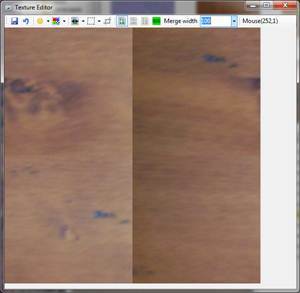 Images are imported into the texture library and kept in a single large folder along with the library file. Do not delete of change the images outside of Texture Manager as it acts as a simple document management system.